Freedom is book 2 in the Daemon series of novels. It continues right where Daemon left off, more of the same. I enjoyed Freedom, there are a lot of subplots in it that I really enjoyed, but it is not as good as Daemon and I found the end wanting. I would like more, I would like more of the subplots to be wrapped up. I just want more. In one of the most buzzed-about debuts of 2009, Daniel Suarez introduced a terrifying vision of a new world order, controlled by the Daemon, an insidious computer program unleashed by a dying hi-tech wunderkind. Daemon captured the attention of the tech community, became a New York Times and Indie bestseller, and left readers hungry for more. Well, more is here, and it’s even more gripping than its predecessor. In the opening chapters of FreedomTM, the Daemon is firmly in control, using an expanded network of dispossessed operatives to tear apart civilization and rebuild it anew. As civil disorder spreads through the American Midwest, former detective Pete Sebeck, now the Daemon’s most influential yet reluctant-operative, must lead a small band of enlightened humans in a populist movement designed to protect the new social network. But the private armies of global business are preparing to crush the Daemon once and for all. In a world of conflicted loyalties, and rapidly diminishing human authority, what’s at stake is nothing less than democracy’s last hope to survive the technology revolution. I rate Freedom a 6 out of 10 and recommend to anyone who read Daemon. I don’t remember how this series by Daniel Suarez came to my attention. It could have been as simple as the title of the first book, “Daemon”, or my proclivity for techno-thrillers that get most of it right. I burnt myself out reading Jack Campbell space battles one after another for a couple of months and needed a break. Daemon is about as far away from The Lost Stars as I could get. Daemon is a great story of a madman who leaves behind a legacy of malware that has infected thousands of machines around the world holding corporations and governments hostage. I really enjoyed this book, the pacing is good, the characters are believable, and the technology is pretty sweet. Suarez takes many liberties with the details of the technology, but they all worked for me. The security issues that are highlighted by the author don’t really bother me that much, apparently many people find it controversial, it just feels like a near-future reality with better internet. Daemon brings readers on a harrowing journey through the dark crawl spaces of the modern world. It’s a cutting-edge high-tech thriller that explores the convergence of MMOG’s, BotNets, viral ecosystems, and corporate dominance—forces which are quietly reshaping society with very real consequences for us all. Matthew Sobol was a legendary computer game designer—the architect behind half a dozen popular online games. His premature death from brain cancer depressed both gamers and his company’s stock price. But Sobol’s fans weren’t the only ones to note his passing. He left behind something that was scanning Internet obituaries, too—something that put in motion a whole series of programs upon his death. Programs that moved money. Programs that recruited people. Programs that killed. 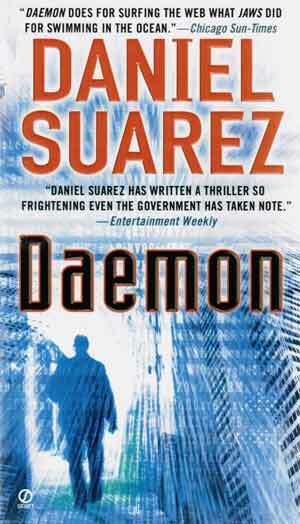 I rate Daemon an 8 out of 10 and recommend it to anyone who likes techno-thrillers or sci-fi. This is the Raspberry Pi book I have been looking for. 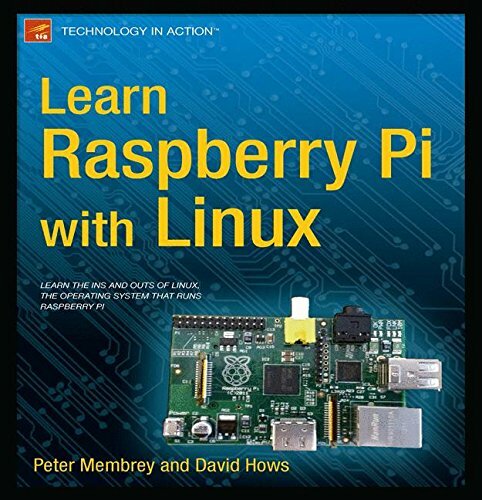 Instead of trying to push some advanced scripting language or Linux distribution, this book shows you how to use the most widely used distribution, Raspbian, and good old Bash scripts to do useful things with a Raspberry Pi. Now 3 years old the lessons in Learn Raspberry Pi still hold up. Raspbian has been through some major updates and the new Model A+ and B+ computers have added to the Pi’s capabilities, but the Linux/Unix commands, SSH and VNC techniques, network information, Web Server installation (LAMP), and a decent chapter covering compiling XMBC on your Pi. This book does not cover any topics in depth, but it includes enough information to give you an idea of what to enter into Google to find out more. This is one of the greatest features of Linux and the Raspberry Pi, once you know what to search for, there is more information available for free. The community is made up of millions of people from all over the world that want to share what they have learned and what they have created. Learn Raspberry Pi with Linux will tell you everything you need to know about the Raspberry Pi’s GUI and command line so you can get started doing amazing things. You’ll learn how to set up your new Raspberry Pi with a monitor, keyboard and mouse, and you’ll discover that what may look unfamiliar in Linux is really very familiar. You’ll find out how to connect to the internet, change your desktop settings, and you’ll get a tour of installed applications. Next, you’ll take your first steps toward being a Raspberry Pi expert by learning how to get around at the Linux command line. You’ll learn about different shells, including the bash shell, and commands that will make you a true power user. Raspberry Pi is awesome, and it’s Linux. And it’s awesome because it’s Linux. But if you’ve never used Linux or worked at the Linux command line before, it can be a bit daunting. Raspberry Pi is an amazing little computer with tons of potential. And Learn Raspberry Pi with Linux can be your first step in unlocking that potential. Raspberry Pi users who are new to Linux and the Linux command line. I rate this book an 8 out of 10 and highly recommend it to anyone looking to make a project with a Raspberry Pi. Posted in Books, Computers, Electronics, Non-Fiction. I think a review in CycleWorld led me to buy this hardcover book; it tuned out to be the most disappointing “motorcycle” book I have ever read. Just a really boring read with lots of semi-interesting tid-bits pulled from Wikipedia and Google Maps. I found very few “Cultural Observations”, information about a “Harley Davidson Motorcycle”, or feel that the author and his wife had travelled very far throughout the book. Take a pass on this one. I rate this book a 1 out of 10 and do not recommend it to anyone. Posted in Books, Non-Fiction, Sad.